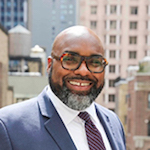 Reggie Thornton has joined LMCA as Director of Brand Licensing. He joins from Matterport where he was Regional Sales Director. Prior to that he worked at B Holding Group and Opt-Intelligence. He has also worked at ThorVision and Dataprise.